Zeus and Hera have a child, named Hercules, who is immortal as the gods are. But Hades, brother of Zeus, wants to rule on the Mount Olympus, and he turns Hercules into a mortal child, but still with the strength of a god. Two farmers find Hercules and adopt him as their own child. 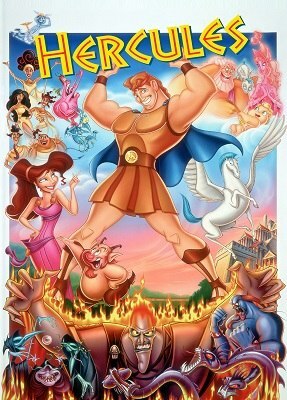 A few years later, Hercules has grown into a strong young man and he wonders why is he so different from his parents. He seeks for knowledge at Zeus’ temple, where a statue comes alive and tells him about his past. He learns that he can become a god again if the becomes a true hero, and since then, all his efforts are focused on that aim.